Getting a Georgia traffic ticket from a City of Atlanta police officer or Georgia State Trooper will start your path to the Municipal Court of Atlanta, or Atlanta Traffic Court (as it is commonly known). It was also called “City Court of Atlanta” until the last day of 2004 when that jury trial court was abolished and merged into the non-jury court that is (today) Atlanta Municipal Court. 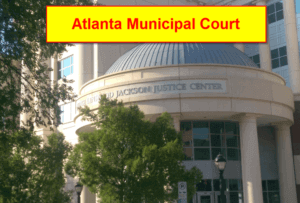 This municipal court is located at 150 Garnett Street, Atlanta GA. Fewer than 2% of all traffic lawyers in Georgia handle any cases in Atlanta traffic court, and of that small number of lawyers in Atlanta, fewer than 5 are listed on the most highly-rated Atlanta criminal lawyers list. While DUI defense is our bread and butter, we have also handled EVERY type of traffic ticket case in Atlanta and surrounding areas. In fact, if your traffic court case is too far outside metro Atlanta, attorneys who are affiliated with our DUI law firm can be utilized in 20 other cities across Georgia. So, whether you need to talk to DUI attorneys or a speeding ticket lawyer — anywhere in Georgia – our Atlanta attorneys are here to give you traffic ticket help. The irony of the extremely low number of top-rated speeding ticket attorneys in Atlanta GA practicing in the Atlanta Municipal Court is that everyone who drives in Georgia’s largest city is subject to getting a traffic ticket in Atlanta. The ticket could be for a very serious traffic crime (like driving under the influence, child endangerment, hit and run or second-degree vehicular homicide) or be fairly minor, such as a following too closely and being in a car accident, or getting a speeding ticket. Either way, you need the best traffic lawyer in Atlanta for cases in the State’s busiest court, Atlanta Municipal Court, to be your legal advocate. The highest-level business leaders, celebrities, sports heroes, politicians, teachers, CDC workers, college students, high school students, CDL drivers (e.g., tractor-trailer drivers or school bus drivers and many others), doctors, attorneys, and their family members are subject to being pulled over and cited for driving under the influence in Atlanta traffic. So, if a drunk driving attorney is needed, or a super speeder GA lawyer, we can assist. Atlanta lawyers from the biggest law firms in Atlanta call our law office for help with their clients and families because winning the impaired driving case or saving a person’s driver’s license is at stake. 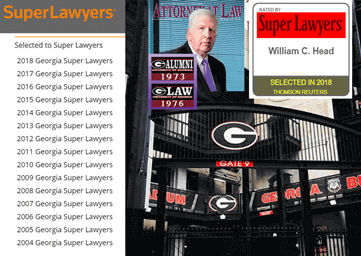 Our top-rated Atlanta DUI lawyers have represented clients facing a DUI in Georgia from every walk of life, from the top-levels of government to CMV (commercial motor vehicle drivers who MUST keep a clean driving record to remain employed as a CDL driver), a registered nurse, realtor or school teacher, who can be fired or disciplined due to certain serious driving offenses. Below, this page answers twelve (12) FAQs (frequently asked questions) that a car accident attorney from our DUI law firm in Atlanta GA is routinely asked, via phone calls or in-person DUI lawyer consultations. To summarize what will be discussed below, concerning the way the Atlanta Municipal Court operates, the following list of topics covers what follows on this page, for City Court of Atlanta, arrests on DUI offenses, or a serious traffic ticket arrest (like hit and run Georgia) or the motorist being cited and released, and given a court date (arraignment). Driving while intoxicated cases are our #1 category, but we fight AVERY type of traffic violation, for any drivers, in the state of Georgia or for out of state licensees. For a DUI in Georgia or for a less serious traffic ticket offense, the driver’s must come to court on a specified day, to learn what he or she is being charged with, and plead guilty or not guilty. For some judges, being represented by a Georgia lawyer is permitted, to avoid bond forfeiture, loss of driver’s license or having to post a new bond. Ask our traffic ticket attorneys about your traffic ticket, and whether we can act on your behalf at Atlanta traffic court. 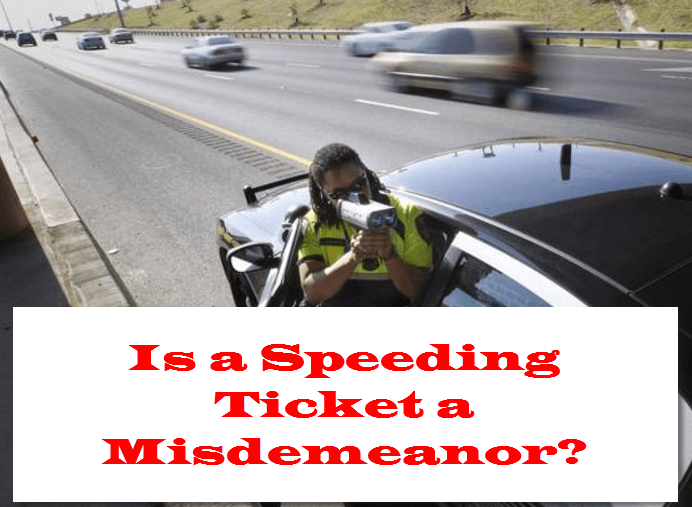 Are misdemeanor or felony cases being processed in Municipal Court of Atlanta? Do I have to go to Court for a speeding ticket? Can I get a court-appointed lawyer for a DUI case or traffic court case? Is going to court without a lawyer a smart thing to do? Can I get a trial by jury in Atlanta Municipal Court? Should I use the pay ticket online option, for City of Atlanta Traffic Court? How do I address a Judge in a letter? Can I reschedule my traffic court date? 1. Can I Go to Jail for a Traffic Ticket? Usually not, but some people have outrageous circumstances or a terrible prior criminal record, which may cause the Judge in Atlanta Traffic Court to require jail time. It is rare, but it has occurred. 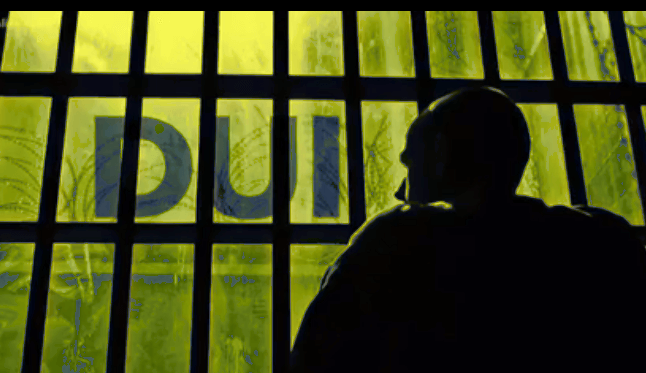 Will I have to go to jail if convicted of a DUI in GA? Possibly, but usually not here in Atlanta. If you transfer the case to State Court for a jury trial, any jail sentence may be at the Fulton County Jail or DeKalb County Jail (if you lose). This jail location is based upon the county of your arrest or traffic citation. This is because parts of the City of Atlanta are in Fulton County, GA, and about 7% is located in DeKalb County, Georgia. Those who have been to all three jails likely will prefer the Atlanta Detention Center to either of the other two county lockups – FYI. 2. 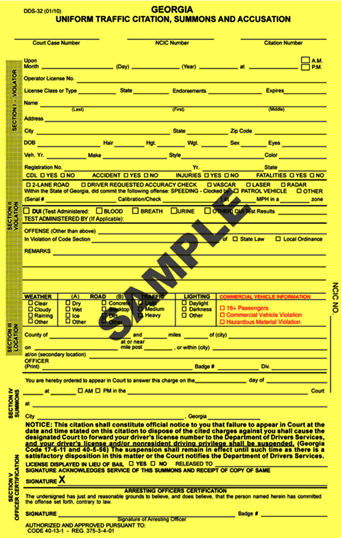 Are Misdemeanor or Felony Cases Being Processed in Municipal Court of Atlanta? Any felony circumstances (e.g., a death has occurred in an accident while the at-fault driver was driving intoxicated), other serious traffic offense is the likely cause, such as hit and run, felony DUI, attempting to elude a police officer) will lead to the Solicitor of the Atlanta Municipal Court transferring the criminal case to Superior Court of DeKalb or Fulton County, depending on the county where the case occurred. Other than that, all cases are misdemeanor traffic or ordinance violation cases and CAN carry Atlanta jail time. Our Atlanta criminal defense lawyers are here to help you avoid jail, and to find a way to save your driving privileges, even in virtually all driving under the influence cases. 3. What Happens if You Miss Court in Atlanta? This happens thousands of times each year in the City Court of Atlanta, GA. Depending on the Judge and how long you failed to appear, you could face a bench warrant for your arrest, have your driver’s license suspended, and still have to come back to Atlanta Municipal Court. 4. Do I Have to Go to Court for a Speeding Ticket? Going to court for a speeding ticket is a huge pain in the derriere, and costs people time and money from work. Our traffic ticket lawyers can prevent going to court for a ticket. 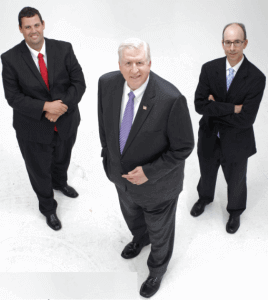 Call an attorney in Atlanta who is a skilled traffic ticket lawyer. You can speak directly with Bubba Head, Larry Kohn, or Cory Yager at our office (404-567-5515) to discuss how to avoid this costly inconvenience, or ask a traffic lawyer with our law office how to appear in traffic court without a traffic ticket lawyer. Unless it is serious traffic offense, as stated on the back of your traffic citation, our Atlanta lawyers can cover all aspects of the case without you. Many types of traffic tickets are resolved by our traffic attorneys without the client being present. 5. Can I Get a Court-Appointed Lawyer for a DUI Case or Traffic Court Case? Because all traffic tickets in GA are misdemeanor offenses, with proof that you qualify for an appointed legal counsel, the answer is yes. Each Atlanta Municipal Courtroom has a traffic ticket lawyer paid by the City of Atlanta that handles public defender cases. You must pay an “application fee” of $50 to see if you qualify. 6. What is the Difference Between a Court-Appointed Attorney and a Public Defender? This free lawyer is not usually a private traffic ticket attorney, who gets appointed to assist with Atlanta traffic ticket cases. The Atlanta traffic court has full-time public defenders. Plus, very few appointed Atlanta attorneys handle speeding cases, but will commonly get appointed for a DUI case or similar serious driving offense. 7. Can I Get a Trial by Jury in Atlanta Municipal Court? No. This is a non-jury court. If you ask for a trial, you must also sign a waiver of jury trial, to knowingly give up your right to a jury. Then, the Judge – alone — decides your case. Never make this choice without consulting an Atlanta criminal defense attorney. 8. Should I Use the Pay Ticket Online Option, for City of Atlanta Traffic Court? You may try to pay fines online, and it won’t work. This can be because the category of a traffic ticket is a serious offense, or that the City of Atlanta computers are malfunctioning. Paying fines online for minor offenses may be alright, but to enter a special plea, you need to go to Court and have the Judge accept it and note the disposition. If you realize your mistake when your driver’s license gets suspended, and learn that “pay tickets online” was a bad move, it usually costs as much or MORE for a traffic ticket attorney to try to help UNDO your mess. If you do “pay fine online,” be sure to keep that receipt and check your driver’s license record in about 4 weeks, to make sure it “went through.” Making fine payments online saves time, but can add points to your driving history. 9. How Do I Dress for Court? Sloppy dress communicates a message to the Judge, and that message is NOT good. If you were applying for an important job, dress the same way as for Court. Shorts and t-shirts with offensive logos or prints can get you sent OUT of Court, and you are required to come back when properly dressed. 10. How Do I Address a Judge in a Letter? The rule here is DON’T send a letter to your judge. Any Atlanta criminal defense attorney will tell you that this is “ex parte communication” (one party communication), and is prohibited. The Prosecutor must be involved in communications by the accused citizen, and you cannot bypass the Rules of Court. When in Court, you should respectfully address the Judge as “your honor,” and say “Yes, sir” (or “Yes, ma’am.”) This is appropriate court etiquette. 11. Can I Reschedule My Traffic Court Date? Yes, but this is not easy at the Atlanta Municipal Court. Even attorneys who need a reset of a client’s court date have to trudge down to court BEFORE the court date just to get the court date rescheduled. Because the decision to allow this or not only occurs on the DAY you were supposed to be in Court, how can you be comfortable that it will be approved? Commonly, our Atlanta DUI lawyers at our DUI law firm will get calls asking, “How many points for speeding?” or “How long do points stay on your license?” We try to guide the person through how he or she can look up their driving history, for existing points on your driving record at Georgia DDS. If hired, our job is to eliminate or minimize any potential points suspension or other harsh penalties from being a repeat offender. We are in court on some client’s DDS Georgia license suspension or license revocation every week of the year, except during holidays, when the Georgia Department of Driver Services (GA DDS) shuts down. Each state decides how many driving “tickets” a person can get before being suspended on a points suspension. Similarly, each state legislates how long points remain on a driver’s license. 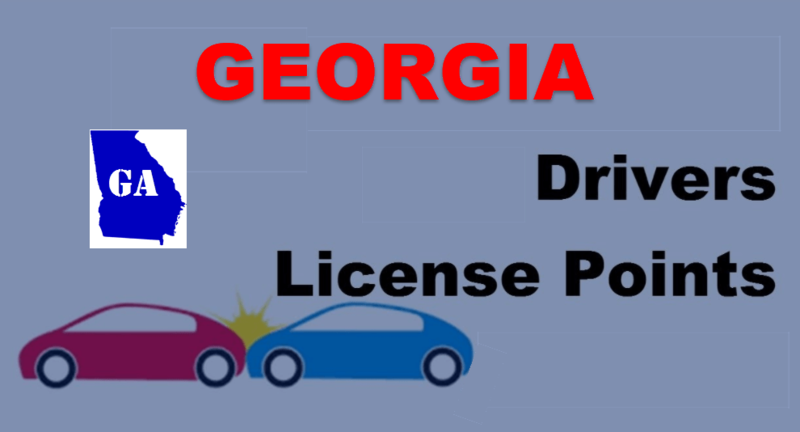 For adult drivers licensed in Georgia (age 21 and over), accumulating 15 or more traffic ticket points within the preceding 24 months triggers a license suspension. 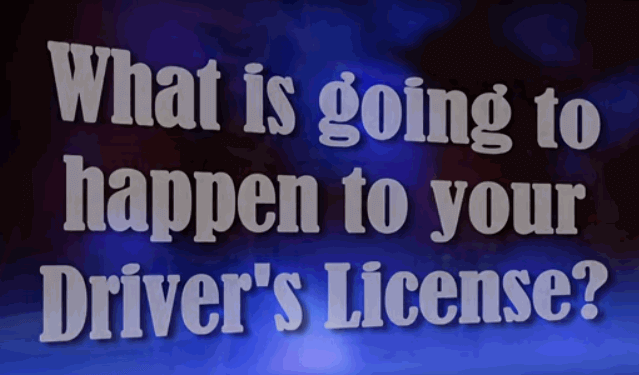 Underage drivers (those under 21, and especially those under age 18) do not want ANY tickets on their driving record, or they will get suspended much more quickly. We can help guide your path. The initial call is FREE, so why not ask for our FREE legal advice? 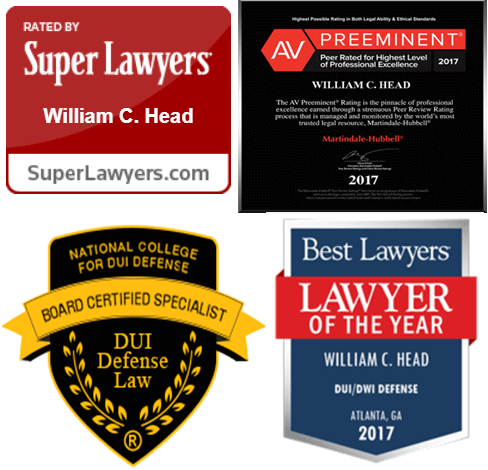 You won’t find another Atlanta DUI law firm that provides you with MORE drunk driving information, or with better credentials or that has more experience at winning a DUI in Georgia. Our 24-hour number is 404-567-5515. Because this is the busiest traffic ticket court in the State, we are there all the time, and often can “bundle” several traffic ticket cases into one court date, thus saving you money. 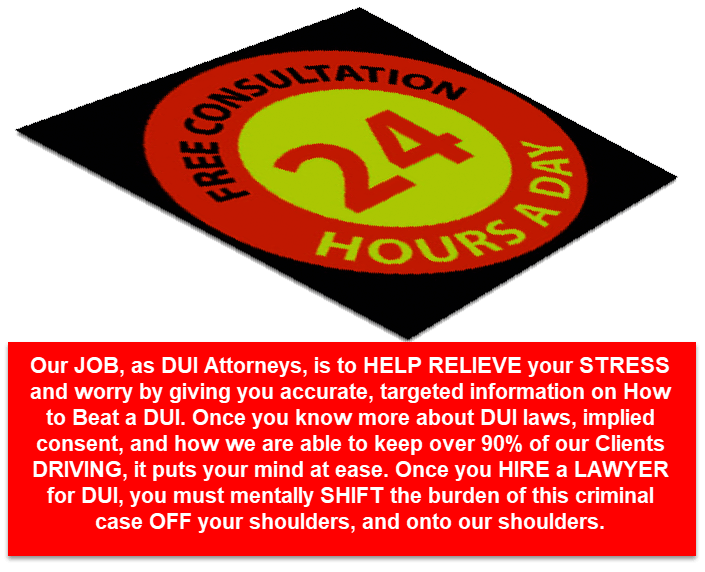 How can you turn down a chance to find a way to beat a DUI in court, from our FREE lawyer consultation? One other tip is worth mentioning: If you go to Atlanta traffic court ALONE or hire an Atlanta lawyer who does not practice in this field every day and something gets screwed up, for our traffic ticket attorneys to THEN try to UNDO the mess will COST MORE than if we handled your case from the beginning. It takes MORE time to unravel a mess than to properly dispose of your traffic ticket the right way. Do it right the first time, and keep your criminal record clean. Our drunk driving attorneys thrive in challenging arrests for DUI in GA, so give us your challenge!